If you’re in the TDS Telecom service area, you can get access to their telephone, internet, and TV services that come bundled in packages to cater to anyone – from light internet to home-based business owners. The satisfaction with their internet packages heavily depends on what type of service you can get: while they have a good selection of fiber internet packages to choose from, their cable and DSL deals seem to have rather steep pricing for the speeds that you get. They do offer a number of great support services that can be bundled for lower prices, but the hidden fees are a major concern, and their customer service could be better too. Here’s a look at TDS Internet! Depending on your address, TDS can supply you with DSL, cable, and fiber internet services. Their fiber packages are definitely the best deal you can get out of the three, but the fiber doesn’t have as much coverage at this time. It’s limited to the main cities and towns, whereas their DSL and cable wire services cover rural and suburban areas, although coverage is still patchy. TDS caters to a variety of customers thanks to their twelve different internet package options – if you’re willing to pay the price, that is. Their pricing plans span from $29.95/mo for their Turbo Internet package to $109.95/mo for their 1Gig fiber internet package. For those who just prefer light browsing, their Turbo Internet package, which supports multiple connected devices, will be more than enough. This particular package supports speeds from 6Mbps to 15Mbps, with uploads from 768Kbps to 2Mbps, which is enough for browsing, chatting, and music streaming. While the price of $29.95 doesn’t seem too unreasonable, this is a promo rate for the first year of your two-year contract. After that, the price goes up to the regular rate of $59.95 for the second year. For advanced users who prefer UltraHD streaming or have a high number of connected devices that require regular patches and updates, their fiber plans ensure everything is running smoothly. Their 1Gig Fiber Internet package supports 1Gbps download speeds and 400Mbps upload speeds, with unlimited users and devices that can connect to the network. The regular rate of $109.95 drops to $89.95 for the promo period of two years, so this is a great deal if you manage to get it. A TDS phone line is mandatory for all internet packages, which might be a deal-breaker if you already have a phone line provider. All the speeds mentioned in their packages are the max available, but some areas may be limited. It llargely depends on the distance from the switching location, the number of other users per network node, and technology used for delivery of services. The good thing is that you can try out their services without commitment for 30 days. All TDS plans come with a Wi-Fi modem you can rent, but the rent price for the modem varies depending on the internet delivery type. –	For cable internet plans, it costs $10 per month. Users can also choose to buy their own modem, especially if they prefer a wired connection or plan to stay with the provider for a number of years. It’s also important to note that whilst activation is free, there is a $14.95 one-time fee for setup with all packages. The Premium Wi-Fi offers faster speeds as well as Wi-Fi optimization performed by the technician during the installation of the gateway. During installation, the technician determines the best position for the gateway to get optimal coverage. Also, this service includes access to Wi-Fi experts who will help with any issues that might appear with the network when connecting your devices or when it’s not performing well. This service helps protect against credit card fraud and personal information loss. Whenever a credit card with your credentials is being used, you will get a phone call to alert you about the attempt. The card will only be usable after you authorize the use. If it wasn’t you, a full investigation is launched immediately. The service is available for adults and children. The child package actively scans to identify any misuse of your child’s social security number. This feature protects all sensitive information like usernames, passwords, and payment information. It’s free of charge for the first 30 days with each plan and costs $5.95 per month after. The basic subscription includes three licenses for PCs. This is basically their AV software solution. The hacker alert plan analyzes all network traffic (incoming and outgoing) and scans for threats – viruses, malware, suspicious requests. When it detects a possible danger, it alerts the user and offers advice on how to handle the threat. One subscription covers all computers on your network, and it can be used on Android phones too. TDS even offers an online storage solution to their users, which includes 200GB of storage. The app works similar to other backup solutions like OneDrive – after you install it, you put data you wish to back up in its folder, and it will sync automatically as soon as you make any changes locally on the computer. In case you cancel this service, you will have 90 days to remove the backed up data from the cloud storage. After that, you lose access to it. There are no details on whether that data is deleted after a 90-day period though. Those who aren’t tech savvy will enjoy TDS’s PC Support plan, which lets technicians connect to your devices remotely and resolve any issues you might have. PC support includes malware, spyware, and virus removal; PC optimization; setup of devices (be it your PC, phone, or gaming console); and internet troubleshooting. This only include remote access; the home visit is not part of this plan. All the above features can be combined into Plus Bundles – you choose the three premium features you need the most and save more than 50% for each feature you choose. 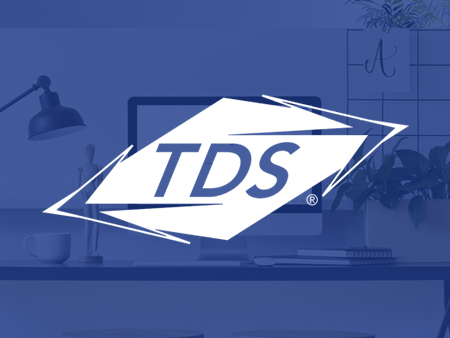 TDS customer service support can be reached via email, chat, and phone. However, the general opinion of TDS customers is that customer support needs to improve. It seems a lot of customers have found themselves on hold for more than 30 minutes, or had to call multiple times before a resolution to the issue is found! TDS does however have a self-service section on their website. Users can browse through help and support topics like: settings and setup of email, internet, accounts, phone, and TV. Some of the sections are quite broad to cover a range of topics that customers can find useful. If they’re willing to look! TDS offers the telephone and TV services that can be bundled with their internet services. Since you already need a phone line, bundling it all together gives you a better price than having each as a standalone service. TDS offers a 30-day trial period for all their services and bundles. If you are not satisfied, you get your money back, but you need to provide a notice of disconnection before those 30 days are over. You also need to request the “Money Back Offer” at the time of disconnection. Make sure that you return all equipment; otherwise, you will have to pay the full price for it. Even though the network equipment lease prices are not high, you can save considerably even within first year if you simply buy your own router, especially if you plan to stay with TDS for more than two years. It makes it worth the saving in the long-term. When choosing your package, make sure to check all available options for your area to get the best bang for your buck. For example, their Mach Internet plan costs $39.95/month and is delivered via DSL and supports 25Mbps download and 5Mbps upload. While this might seem like a good deal, remember that you can get their Extreme50 Fiber Internet package if you live in an area with fiber coverage for only $5 more per month, with download speeds of 50Mbps and upload speeds of 20Mbps, which is a much better deal for an extra $5. If you plan to switch to another provider but are bound by contract, make sure you check the price of early termination fees. Meaning, you basically have to buy yourself out of the contract! If you are unsure about the amount, it’s best to contact their support and double-check with them before you go ahead and cancel. TDS is a good option for those who live in their fiber services area. Their fiber packages are far superior to their other internet options and the most cost effective when you compare quality and price! However, they cater to many rural areas and this is where they let themselves down. With many customers complaining about the way the network is managed, often with poor speed because there are too many users on the network at once. So, if you’re looking for services other than fiber, there are better options out there. If they are the only one available in your area, save by bundling your services together! TDS are working hard to improve their services, and they are expanding their fiber internet coverage. You can check whether your neighborhood is up next for the expansion on their website, but this is a process that will take a while. Overall, TDS is a relatively good provider for areas where they deliver their fiber internet. For others, it’s just too pricey to be considered a good deal. Excellent cusromer service, i have had no problems with them and issues have.been dealt with promptly and in a professional manner.